So do 80% of Americans, according to the Pew Charitable Trusts. Those obligations can come in the form of mortgage debt (44%), credit card debt (39%), car loans (37%), student loans (21%), or a combination of some or all of the above. When the Federal Reserve increased interest rates in December, it also predicted that there would be three more rate increases in 2017. That’s going to make your credit cards, HELOCs, and any other variable-rate debt you’re already carrying – as well as any new money you borrow – more costly in the months and years to come. Which means the time to go to work on your debt is now. If this is a process you’ve undertaken only to fail before, don’t rely on hope. The very first thing you need to do is change your habit of paying bills as they come to one where you make payments automatically, explains Sarah Newcomb, behavioral economist at Morningstar. “The less you have to think about it, the better,” she says. But that’s just step one in ensuring your success. Here are the other habits you need to break and replace to start your journey toward financial freedom. Newcomb has found that one of the major factors that drives high debt-to-income ratios is impatience, which can lead to paying interest on your purchases. “The reality is that the more impatient you are, the higher the price you will pay for everything,” she says. In her research, she asks people about their financial behaviors when it comes to things like cash management, keeping a budget, tracking spending, credit management, saving, and spending less than they earn. What she’s found is that when she asks those same people how far into the future they tend to think or plan, there’s a statistically significant correlation: Those who are more future-oriented are better at managing their money. Change It: Ask yourself what you want your money to do for you this year, in five years and in ten. The key is making it specific -- for example, instead of thinking “retirement,” think about the specific trips you’d like to take or the specific house you’d like to live in. It’s easy to feel like you’re saving money when you buy something on sale -- especially when the original price or percentage off is constantly trumpeted at you. But if you weren’t already planning to buy that item, you’re not saving anything. 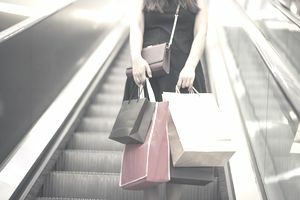 And the bigger problem is this: “People spend more money when they go bargain hunting,” says consumer psychologist Kit Yarrow, who has researched the phenomenon. “What people become addicted to is the thrill of what they think is winning, what they think is saving, what they think is being good with their money,” says Yarrow. Which of these two statements do you agree with the most? Newcomb’s research suggests people who believe the former -- regardless of income, education, age and other factors -- are better managers of their cash, credit, and savings. “You’re not going to change your behavior until you change your thinking,” she says. That isn’t easy, but it’s not impossible. It’s so easy to spend money in the age of swiping, and mobile payment technology like ApplePay and Android Pay has only made it easier. That’s a problem, because it’s eliminated the gap between when you decide to buy something and when you pay for it. That time is important -- and, as Yarrow points out, it really doesn’t take that much of it. “If people would just devote an extra five minutes before making that purchase, I promise you they would save money,” he says. So take that extra five minutes, or 24 hours, or 2 days. Change It: Leave the item in your cart, or on your mind, and see if you still want it after your allotted window has passed. Don’t memorize credit card numbers or allow websites to save them for you. And when you do decide to buy something? Focus on the pain of loss in addition to the joy of gain. Even better, when you make a purchase, get into the habit converting the cost into the hours of work it takes you to earn the money.